We have some very exciting News! We are excited to announce that the Lexus LC 500 will make its Canadian Debut at the Edmonton Motor Show. Join us at the Edmonton Motorshow running April 7 -10, 2016 at the Northlands Expo Centre. 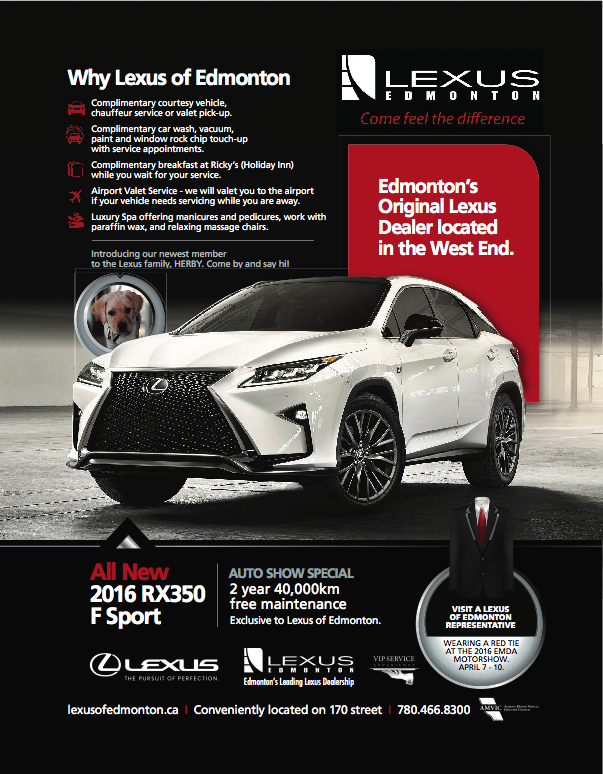 We will be offering exclusive Lexus of Edmonton Show specials. You can easily find us in the Red Ties at the Lexus booth. Explore the future of the Lexus brand and immerse yourself in luxury design, technology and performance at the 2016 Edmonton Motor Show. Most prominent at the Lexus display is the Lexus LC 500 – an all new, premium luxury coupe making its Canadian debut and setting the bar high for the competition. "Inspired by the acclaimed LF-LC Concept, this new flagship coupe marks the beginning of a new phase for Lexus. 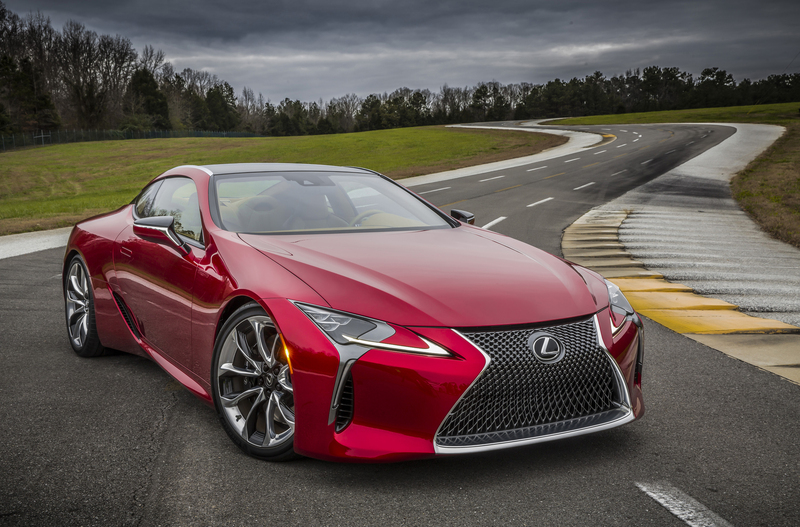 The LC 500 represents a new relationship between our design and engineering teams – and the result is more than just a new vehicle: It's a new way to design and build the luxury models Canadians desire," said Jennifer Barron, Director of Lexus Canada. "The Lexus LC 500 is a jewel of a vehicle that delivers performance unlike anything we've ever offered." A number of updated models for 2016, including the ES 350, ES 300h, GS 350 AWD and GS 450h.